1Visit your favorite Web site. Choose any Web page you like. 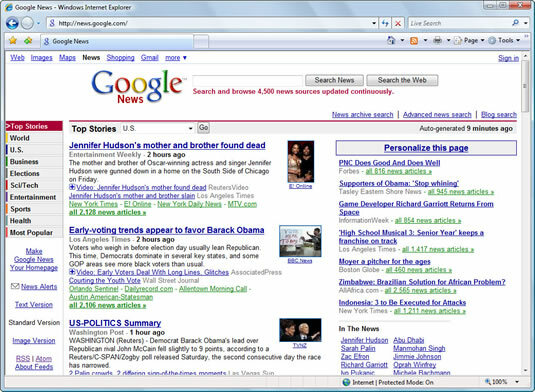 For example, use Google News so that Internet Explorer always opens with the hour’s current headlines. 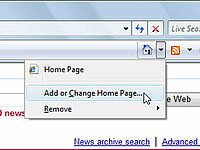 2Click the tiny arrow to the right of the Home icon and choose Add or Change Home Page. 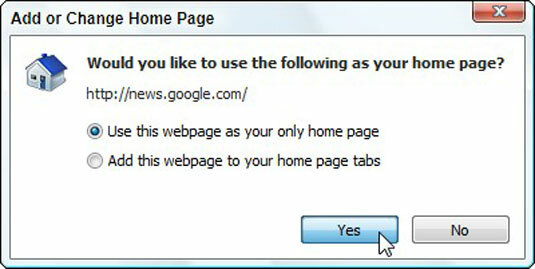 The new, security-conscious Internet Explorer asks whether you’d like to use that Web page as your only home page. 3Choose Use This Webpage as Your Only Home Page and click Yes. When you click Yes, Internet Explorer always opens to the page you’re currently viewing. 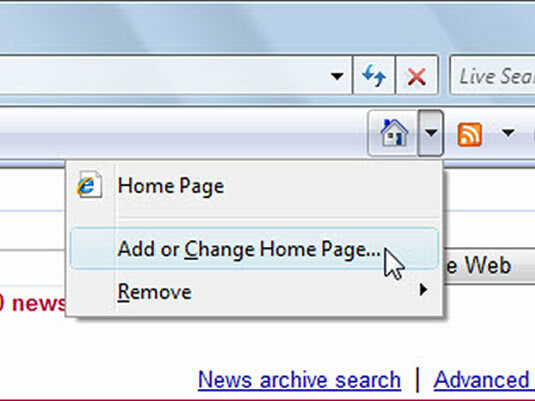 Clicking No sticks with your current home page, which starts out as Microsoft’s Windows Live site.